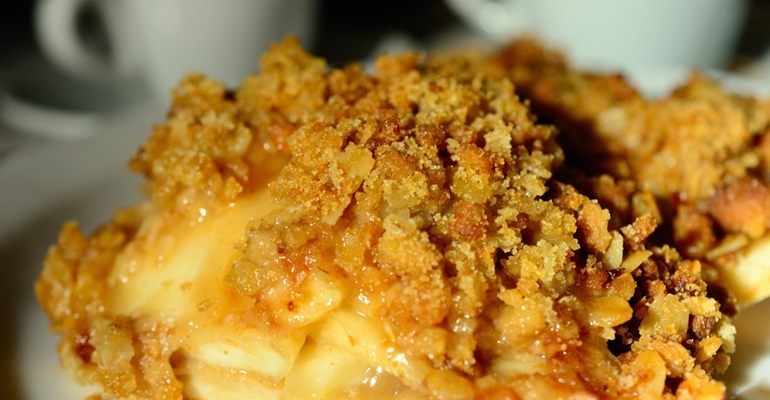 Apple recipes are so simple to make. All of them are similar and have lots of elements that go together well. The best way to prep apples is with spices. They really bring out the flavors of the apples, and this crock pot apple cobbler is a great example of it. All you need is cinnamon and the flavor goes through the roof! I often like to add some nutmeg, too. They give the perfect touch of spice while not overbearing. They are sweet and wonderfully soft and the best dessert, EVER! This is convenient, simple, yet still utterly delicious. The crock pot has become my best friend for making apple cobbler. Add the apple pie filling into the slow cooker. Sprinkle apples with cinnamon sugar (optional). Mix cinnamon into the dry cake mix, then sprinkle mixture on top of the apples. Do not mix. Spoon the melted butter onto the cake mix layer. Do not mix the butter with the cake mix. The moisture generated from the slow cooker will bake the cake. Cook on high setting for 4 hours (or on low for 6 hours). Spoon cobbler into dishes and serve topped with a scoop of vanilla ice cream. Quick Tip: If you have the time, I recommend cooking on low. It makes a huge difference!